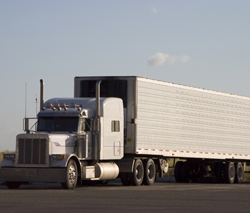 Generally, commercial trucks or big-rigs are the largest vehicles you will encounter on the road. They can span up to 75 feet in length and can weigh up to 80,000 lbs. A commercial truck accident occurs when a large trailer—10,000+ lbs collides with other vehicles or pedestrians. Considering that trucks account for a small percentage of all vehicles on the road, they cause many injuries and fatal accidents. The U.S. Department of Transportation, the National Center for Statistics and Analysis and the National Highway Traffic Safety Administration — have compiled the following statistics regarding the incidence of different types of truck accidents in the U.S. to inform the public about traffic safety. If you were involved in a trucking accident, liable parties may include: the truck driver, truck driver’s employer, trucking company, freight owner, truck and truck components manufacturers, and third-party maintenance company. It is very important that you contact an experienced personal injury attorney, if you were in a collision resulting in injury or death involving a big rig truck. Too often, the victims of these accidents are the drivers of smaller passenger vehicles who are left to deal with costly medical bills, property damage, and emotional trauma in addition to any physical harm they may have experienced. Our firm has successfully assisted many individuals and families after serious injuries and fatalities from truck accidents. Call us today and speak with an experienced accident attorney, the initial consultation is offered at no cost. We treat every single case with care and concern. In addition, we work on a contingent fee basis, which means there are no fees or costs unless we win.